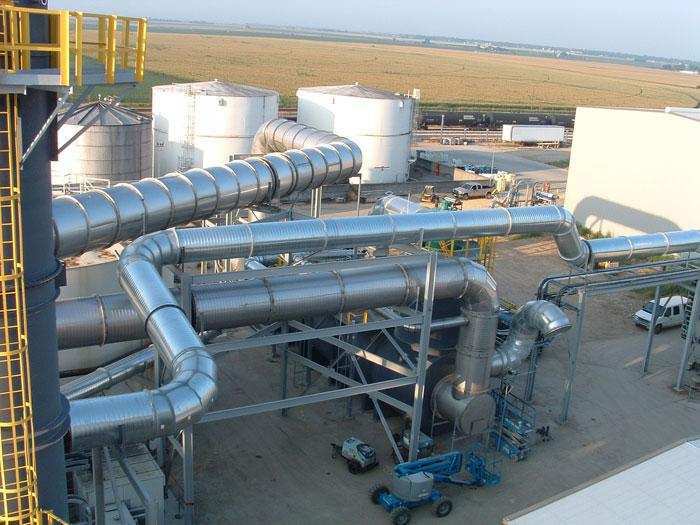 This project was a combined effort between GSM and Met-Pro to design, build, and install the oxidizer and system ductwork to service this ethanol production facility in York, Nebraska. 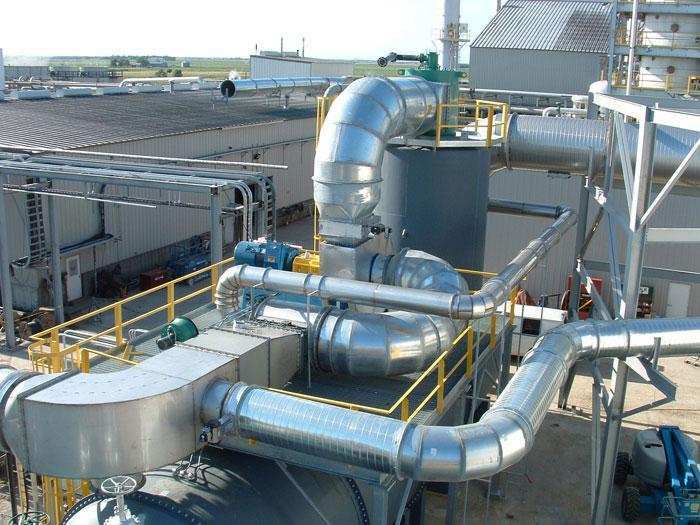 First, we determined the best location for the oxidizer, creating a clean shot for the system ductwork to run from various emission points back to the oxidizer. 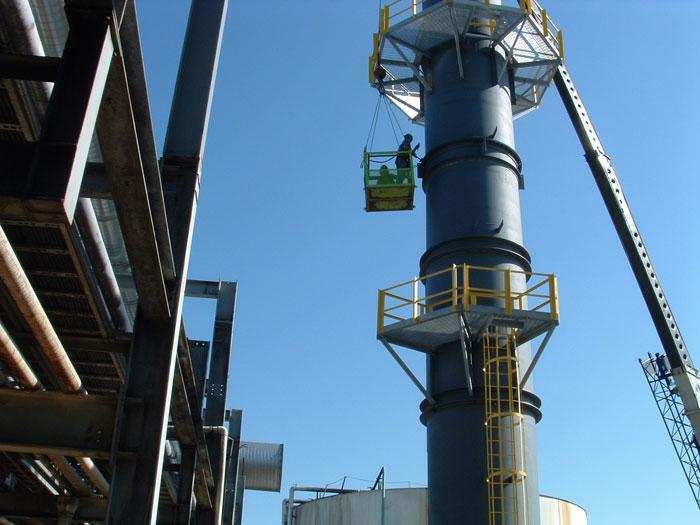 The project consists of the oxidizer, 10”–42” insulated ductwork, a large stack, supports, and access work, all of which was fabricated and painted at GSM, and shipped to the site on an “as-needed” basis perfectly orchestrated to maintain the project schedule. Our field crews were deployed at intervals of 3 weeks out, 1 week back to minimize mobilization costs. 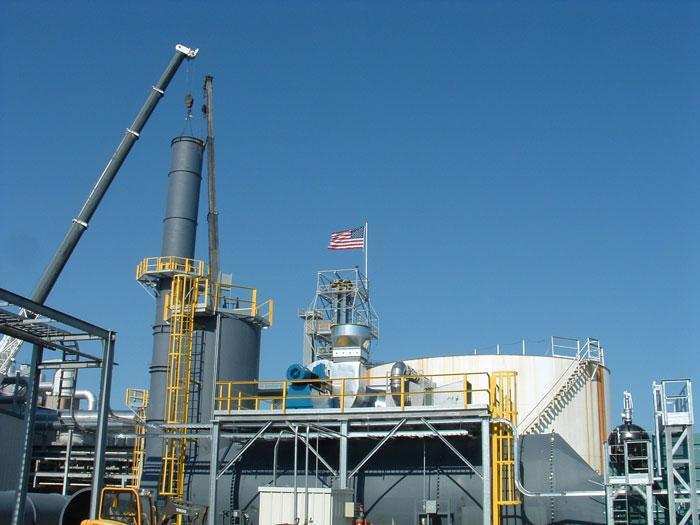 While on site they worked up to 12-hour days, 7 days a week. Cranes, man-lifts, and equipment where rented locally for cost-effectiveness. No regular production hours were interrupted during this course of work. The project was a complete success for all involved.